You really can find healthy food during a road trip. Long car trips don't have to be synonymous with fast food and greasy diner fare. It's not as hard as it sounds, either. The general principle is to stay away from restaurants and hit grocery stores instead. 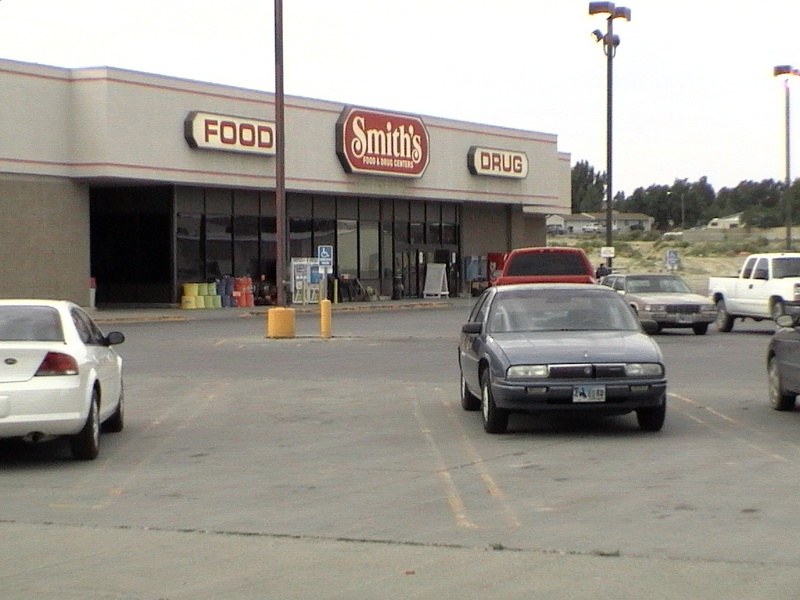 Nearly any town you drive through nowadays will have a grocery store. Just pull up the mapping app on your phone and search for nearby grocery stores when you stop for gas. Once you've found a store, you've basically done half the work of finding healthy food during a road trip. Sure, it takes a little more effort to wander the aisles of a grocery store than it does to drive through a drive-thru or plunk yourself down in a restaurant. But that gives you time to stretch your legs and get a sense of the local culture. I also enjoy the conversations I have with cashiers across America. (I hope they feel the same way.) You'd be surprised at how friendly they often become when they find out you're from out-of-state. Last summer, I had only been in Idaho for about 45 minutes when I got my first invitation to move there! Now, the challenge here is that most food doesn't keep well in a hot car. And it's a lot of work - not to mention, a lot of space taken up in the car - to pack an ice chest of your favorite foods. But assume that the healthy foods you find won't be car-friendly. Some of the healthiest choices are also portable and convenient. Bars. Food in bar form can deliver a surprising amount of nutrients at a reasonable cost. And unlike their chalky, over-processed predecessors, many of today's nutrition bars actually taste great. Look for Balance Bar, Clif Bar, Luna Bar, and others. Compare the labels to see which ones will load you with protein and which ones contain the most vitamins. Buy a few flavors, identify your favorites, and you'll have found a reliable meal option for the rest of your trip. Just be sure you don't leave your bars in a hot car for too long - they're often coated in chocolate and they do make a terrible mess when they melt. Nuts. Can you think of anything tastier than roasted, salted cashews? Get your protein and healthy fats in a bag of nuts. You'll see these hanging around in most gas station convenience stores, as well as grocery stores. They're usually cheap and make a great snack. Worried about the fat content? Don't be. The so-called experts have been preaching the virtues of a low-fat diet for decades, and....America keeps getting fatter. If you really want to avoid gaining weight on your next road trip, keep a close eye on your sugar content, instead. All things in moderation, of course, but don't freak out about the fat content of a handful or two of nuts. Fruit. If you're really serious about finding healthy food during a road trip, you won't skip the produce section. Fruit makes good road trip food because you can buy just one piece or a whole bag. Of course, some fruits are more conducive to travel than others. Bananas are great - the peel protects them until you eat them, and there's no mess. If you can spare a little water to wash the fruit, or don't mind a little dirt, try grapes, cherries, or berries, which make great finger food. The only downside here is that you'll have a messy bowl to wash after you've finished your meal. But you can at least give your bowl a good rinse in a gas station or rest stop bathroom sink, and then give it a proper wash when you're at your final stop for the evening. Smoothies. On our healthiest fast food page, we provide a bunch more ideas. Jamba Juice is a great place to make a quick stop for a nutritious smoothie or juice. You have to be careful, though: some of their offerings are about as healthy as an ice cream sundae. Check the ingredient lists carefully and stick to the smoothies that are heavy on the fruits and vegetables. See? It's not that hard to find healthy food during a road trip. You just have to know where to look. Stick to the grocery stores, and you'll have all the options you need.